Just curious how you are valuing it that far out to figure out what it will cost per sep hr ? Qline trucking out of Saskatoon Saskatchewan would be a good company to talk to. They travel back and forth all the time. Farmer owned. I just figure I would aim to trade at 2500sep hours. So subtract actual unit hours from 2500, then purchase price (or purchase price with interest) divided by those hours. So the use cost with $0 value at trade-in time. I havent gotten far enough to factor residual value, but its probably not really needed since with a baseline of 2500 at sale date, all units are close to the same value. That way im comparing apples to apples. The true cost would subtract the trade value, say $40,000-70000. But its just as easy for me to use zero since its not a number for budgetting, just comparison. Obviously this doesnt include any other expenses that come with owning any combine. Theres one local to me thats both in my price range, and in my hour range, but after running the numbers I realised it would cost me $195/hr of use comepared to all those $118-150. Its eye opening and a big help for me to look at it from multiple angles so I dont make a move that seems okay but hurts me down the line. The 2013 780 came with dynamic cooling and def. The 13-14 780 with the Mercedes are easy to get the def deleted on. The rest of the combines got dynamic cooling in 14'. The 760s have the mercedes too right? I missed my chance on a couple 780s recently. 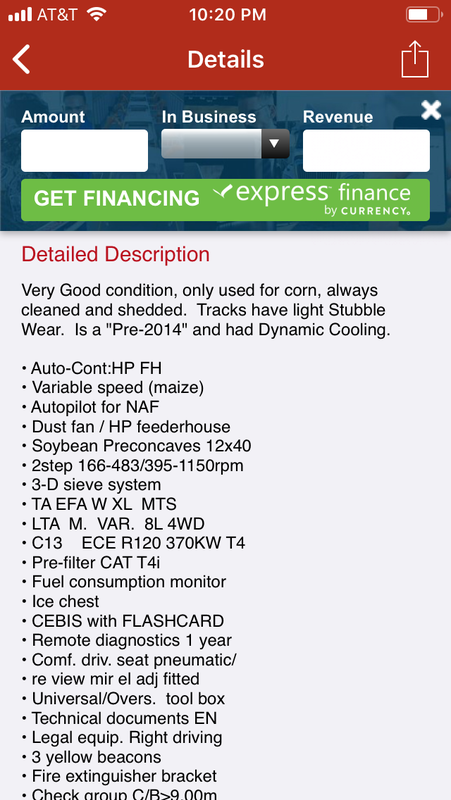 Theres one or two ‘13 750s on tractorhouse that claim pre-14 dynamic cooling. I didnt know if thats just an early ‘14, or if they had a very short production of dynamic cooling and no emissions. The 760s have the mercedes too right? If it's an IT4 engine it should have dynamic cooling and emissions. never heard of the pre 14' dynamic cooling but anything is possible. Lexions w/o Autocontour are out there....just VERY rare. I've seen one -- a 500 series -- in western Canade. IDK if the 700s ever had it as optional. I'd be VERY careful about bringing a combine over...make absolutely certain that you have all the red tape about emissions dealt with before you do. I've never tried, but I hear stories. Talk to somebody who does it first. Tell your dealer to stop having such a "big head" ;> 45' is huge, even out west. Too much stress--on the operator! I'd definitely go for the high torque variable speed drive if you are combining corn--the other drives are just not heavy enough. Sounds like you are putting together a pretty nice combo! Last edited by Jeff-C-IL; 03-25-2019 at 10:46 AM. Lexions w/o Autocontour are out there....just VERY rare. You mean if you have feeder tilt cylinders it’s auto contour? I’ve seen the odd machine without those, just fixed. Last edited by Don Boles; 03-25-2019 at 12:38 PM. The two that suit me best are both ‘15 models. Each dealer claims they have AHHC and auto reel speed, but neither build sheet mentions it anywhere. Did this become standard in ‘15 and thus not on the sheet? Both dealers seem honest, but ive learned my lesson on taking a salesmans word for something 1000mi away. It could be an honest mistake and you still have no recourse. It’s almost always an honest mistake, farmers, especially owner/operators, use and study that equipment to use to their maximum advantage. 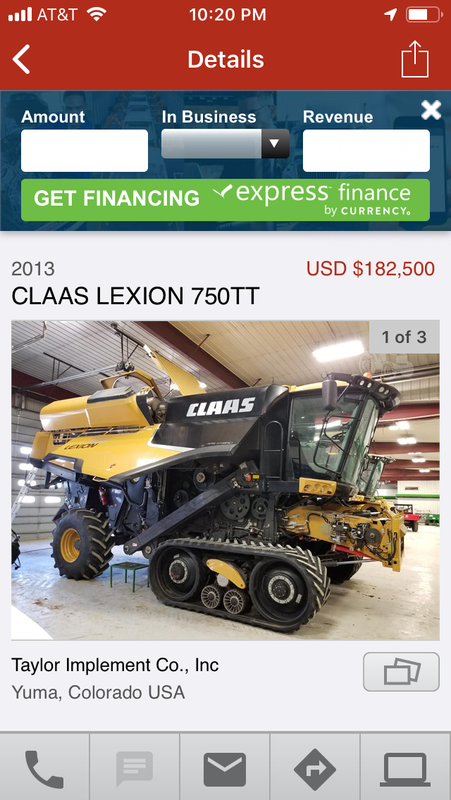 Oh, I don’t mean just Claas sales people, I mean all of them. Last edited by Don Boles; 03-30-2019 at 02:06 AM.